When asked "How do you help someone who's grieving?" As true with lots of people I have experienced a large amount of grief. In moving through these circumstances all have had different processes and some of that work I have discussed briefly here and here. In my mid twenties I lost friends and even to a degree respect from family as a result of an extremely difficult and painful battle with a very specific type of depression. Everything I knew ended and consciousness became an increasingly lonely and hopeless place. With the associated loss and struggle there has been an important shift because although it was unpleasant I realized I was taking control of my own life and not being dictated by what others thought it should be. Grief can be confusing, but is often accompanied by an opportunity. When we keep our awareness stuck in what we think it should be or particularly the past we tend to overlook the opportunity of what’s next. I did not want to be bound by medicine and doctors offices. Since then I have developed a personal holistic approach to creating well-being with what has formerly been a debilitating illness. I share some of my personal struggles because that’s the best way I can try to begin to articulate a resolve that could be tangible for others to gain from. In doing so I stretch myself to be brave, but have experienced enough miscellaneous bumps and bruises to think it’s still worth sharing. Remembering to consciously make choices that are in line with your goals is important. Our goals can be anything from creating happiness to getting a new promotion. These types of choices can include a change in location or a small shift in your personal relationships some of which I’ve discussed here. Overall, by acknowledging the fruit of the present we can engage our attention in a way that allows us to seek out what we want in each moment regardless of negativity. Below is a short conceptual exercise that may be helpful in shifting your perspective with your daily surrounding or even isolated negative experiences. Imagine you are in an orchard picking fruit. The sun may be hot, there may be lots of bad fruits and bugs. It may take hours to get there and you may not even end up eating it all before it goes bad. 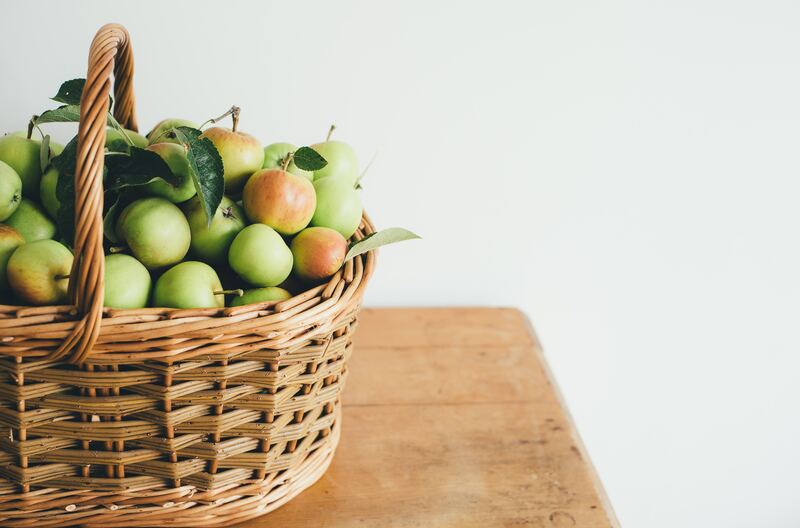 However, each time you find a ripe beautiful piece of fresh fruit you are able to acknowledge it and put it in your basket. You take it home with you and maybe even cook with it. You smile and hardly remember or think worth sharing any difficulties or hardship in gaining this experience. The value of the experience is already deeply understood in the personal and collective consciousness. What we enjoy share and remember is the richness of the experience in its entirety as it relates back to the predetermined desired outcome of a fresh baked treat or fresh fruit for your home, family, friends, and community. When we experience grief and loss often times our end result or point of reference suffers because we leave it attached to a negative end point. If you can attempt to view pain sadness and difficult circumstances as naturally occurring parts of our journey and not falsely as end results then we can start to shift our reference back to the overall positive end result of enjoyment. If you had no frame of reference or preconditioned notion for the desirability of spending the day to pick fruit then it may never occur or may only be done as work or a burden. If we can imagine our lives as a trip to the orchard we can start to gain an empowered perspective in relation to circumstances and harmful emotions and actions. We can then make choices that allow us to stay the course regarding the simple and fulfilling end result. On the macro level it is difficult for us to plan and execute our lives in a way where we can come back to a predetermined desired outcome. As humans our wants needs and desires are continuously changing based on many factors therefore having expectations of ourselves and others particularly on a large scale is unreasonable. When we create an expectation it would be like falsifying a predetermined desired outcome. As everyone’s wants needs and desires are constantly in flux it’s logical that the desirable outcome of a lifestyle is determined more so through an individual lense than a collective one. No two people necessarily agree on what the predetermined desired outcome is and furthermore even if agreed upon it may continue to shift. If we can attempt to treat ourselves in the daily life of a career or family with the mindset and relaxed, but effective focus of visiting the orchard we can benefit. In this state of mind we trust that no matter what is happening we can easily and confidently pick and put in our basket what is leading us to our enjoyment or a desired outcome even if the desired outcomes continually shift and there are difficulties along the way. When asked “How do you help someone who’s grieving?” I encourage people to seek out tangible tools for their community members and loved ones that will help that person detach from their current loss or negative experience as an end result or stopping point. Additionally, I encourage lots of rest.